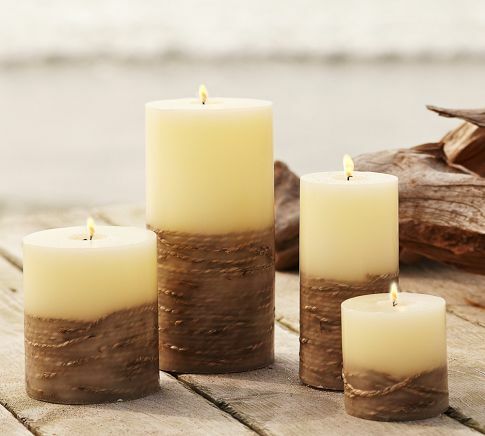 I've been admiring Pottery Barn's Beachcomber Pope Pillar Candles for sometime. But with the various sizes ranging from $9.50 to $30...there was no way I was shelling out the money for a candle with some rope around the bottom. So I put down the PB catalog and shopped my house - and by that, I mean, I looked up at my mantle where the tall white pillar candle was screaming for some rope. back and it's been sitting there naked for awhile. 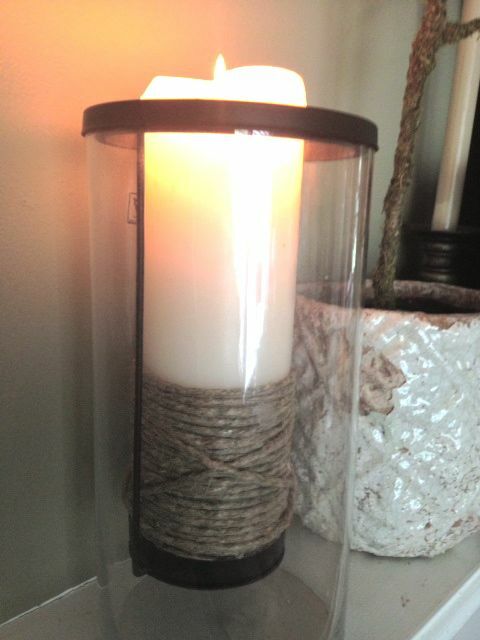 I had some twine in the garage and a spool of hemp rope in my craft room from another recent project. (I got it at Walmart, in case you're wondering.) I knew either would work, but I went with the hemp rope since the color is a little darker. Using a hot glue gun I started by putting a line about 1.5 inches long on the actual rope to get it started on the candle. Once it was attached, I just started wrapping the rope around the candle putting a short line of glue on the candle every few inches. When I got it about 1/3 of the way up the candle I wrapped it back around itself in a few spots to add a little texture. I made sure the end of the rope was glued down nice and tight so it won't start to unravel.